An annuity can provide you with income that is guaranteed for as long as you live. These retirement savings vehicles do provide some tax benefits by letting earnings grow tax-deferred. However, at least part of your annuity payments may be subject to federal income taxes. Throughout this guide, we highlight the different ways the IRS taxes annuities. The ways the IRS taxes your annuity depends almost entirely on how you received the money you used to buy it. For example, if you use funds from a Roth individual retirement account (IRA) or Roth 401(k), you may escape federal income taxes. This could even apply to the annuity’s full balance, including your initial payment amount and any interest or dividends that you receive during its life. On the other hand, annuities you purchased using non-Roth assets will grow tax-deferred, with federal income taxes down the road. After this distinction, things can get rather complex. There are varying types of annuities (indexed, variable etc.) and different situations that affect tax liability. 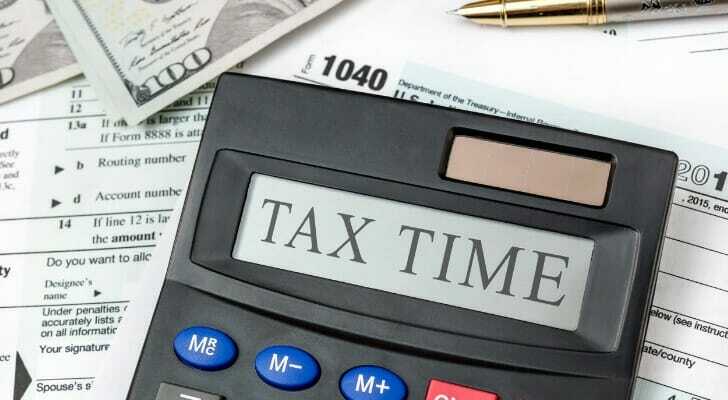 Plus, because tax laws and rates change often and you can’t necessarily be sure what your particular situation will be when you begin taking withdrawals, these taxes are difficult to predict. In other words, you can’t say for sure what will actually happen when it comes time to take money out of your annuity. However, you can make some educated guesses about common scenarios. The most important factor when determining how the IRS is likely to tax your annuity is where you got the money to buy it. In the eyes of the government, this will decide whether your annuity is “qualified” or “non-qualified” for tax purposes. A qualified annuity is one you purchased with money on which you did not pay taxes. For instance, if the premiums to pay for an annuity came from a tax-deferred retirement account such as a traditional 401(k) or traditional IRA, it would be a qualified annuity. You will pay normal income taxes on any future qualified annuity payments. Note that annuity payments count as ordinary income, which is, generally speaking, not a favorable capital gains rate. A non-qualified annuity is you purchased with money you have already paid taxes on. So if you wrote a check from your taxable bank or brokerage account to pay the premium for the annuity, it’s a non-qualified annuity. The IRS calls this post-tax purchase money the basis, a term we’ll use again shortly. If you have a non-qualified annuity, you won’t have to pay taxes twice on the money you used to buy it. You may, however, owe taxes on the interest and earnings that have been growing tax-deferred in the annuity. The type of annuity you have may also affect your future tax liability. There are many different subsections, including fixed annuities, variable annuities, immediate annuities and deferred annuities. For this, though, we’ll discuss the most general versions: period annuities and lifetime annuities. A lifetime annuity pays you a guaranteed regular amount, usually monthly, for as long as you live. A period annuity is one that will provide you with regular payments for a set number of years. With period annuities, simply multiply the number of payments by the amount of the payments. So if you have a 10-year annuity that will pay you $12,000 a year, you should expect a return 10 times $12,000, or $120,000. That’s your expected return another IRS term we’ll use again. If you have a lifetime annuity, that complicates matters slightly. To figure out your tax liability with a lifetime annuity, first estimate how long you’ll live. Multiply the number of years you expect to live after you start getting payments by the size of the annual payments. That gives you your expected return on a lifetime annuity. Say you have a lifetime annuity that pays $12,000 a year. You are 65, and, according to the IRS longevity table, you’ll live to 85, which is another 20 years. In turn, multiply 20 years by $12,000 and you will get $240,000 for your expected return. Remember the basis, or post-tax purchase money for non-qualified annuities, that we spoke about earlier? Well, you can now take the basis and divide it by the expected return. The result of this equation is the percentage of each payment that will not be taxable. To make things more tangible, multiply this percentage by the amount of each payment to figure out the exact dollar amount that won’t be subject to federal income taxes. For example, say you paid $90,000 for a lifetime annuity with an expected return of $120,000. Dividing the basis ($90,000) by the expected return ($120,000) gives you 75%. Then, by multiplying 75% by the amount of each payment, you’ll see how much of the payment will not incur taxes. So if your $120,000 annuity assumes your life expectancy is 20 years, your monthly payments would be $400. Of that, $300, or 75%, would be tax-free. This is a much simpler example that what you’ll likely encounter in real life. There are different situations in which you might be subject to more or less taxation. In fact, if you live longer than the IRS longevity table says you will, you will likely pay taxes on all your lifetime annuity payments that occur after your maximum age that the IRS longevity table forecasted. It may not be a bad idea to consult with a financial advisor. In particular, tax professional could help you before you buy or take withdrawals from an annuity. 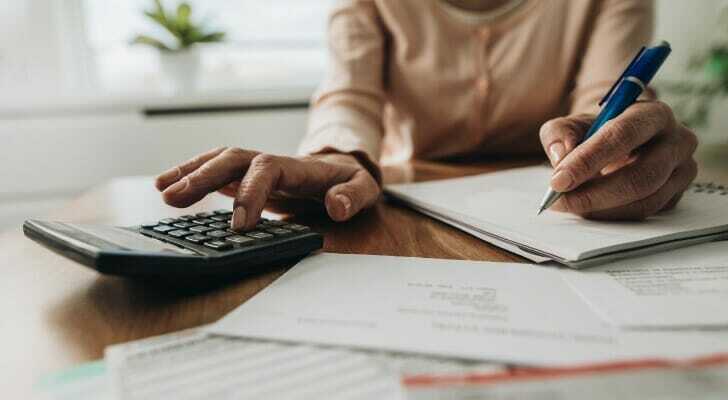 If you feel you’ve exhausted every option to boost your retirement savings, you might want to consult a financial advisor who has dealt with retirement planning before. Rather than search for an advisor on your own, the SmartAsset financial advisor matching tool can pair you with up to three local experts are equipped to meet your unique needs. Don’t focus only on the balance of your 401(k), IRA or another retirement savings vehicle. Be sure you don’t forget about Social Security benefits. 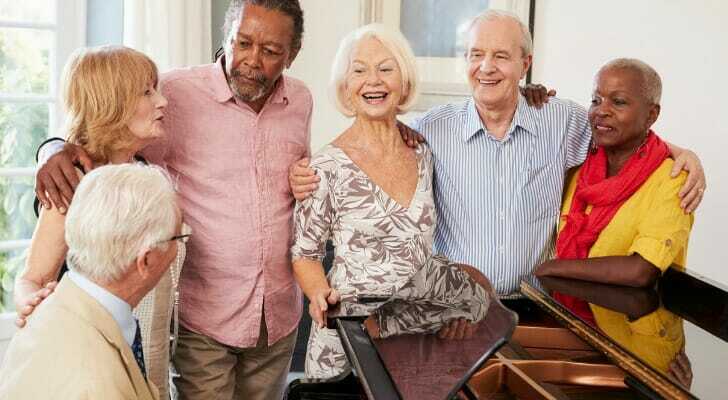 It would be difficult for most retirees to live solely off of Social Security. But they payments it can be a helpful addition to any savings plan. SmartAsset’s Social Security calculator can help you estimate what you’ll receive. The post How Are Annuities Taxed? appeared first on SmartAsset Blog.